Announcing Bahamas Plus mobile from goBahamasPlus, LLC. 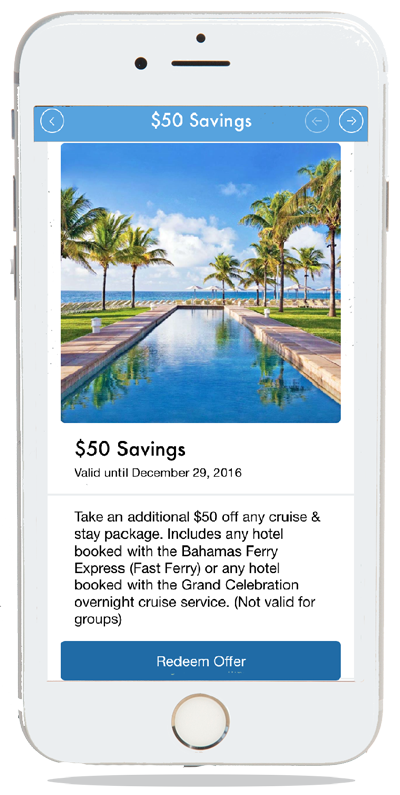 The mobile app that makes booking, exploring and traveling to the Bahamas easy & fun. Download Bahamas Plus and take it with you when you travel. Bahamas Plus will help you find out everything you need to know about The Bahamas. Search for the best deals, chat with an online travel specialist and see all the cruise & stay options to your favorite destination. Sign-in to your Bahamas Plus online account to access past & present itineraries, make a payment and check your travel points balance. You'll also have access to our 24-hour agent-on-call, local representatives at your destination and much more. The Bahamas Plus mobile app syncs with your online account so that all your information is available to you no matter where you go. Plus, Bahamas Plus mobile is FREE! It's available for iPhone, iPad and Android devices. Search for it where you download mobile apps or download it right now.